Popinjay has social justice in the bag. Founded by MIT graduate Saba Gul, the luxury purveyor employs some 150 women artisans in Gul's native Pakistan to make its high-end leather purses, clutches, satchels, and totes. Popinjay didn't have the smoothest of beginnings. After a false start as a nonprofit, Popinjay reinvented itself as a for-profit with a more-sophisticated bent. Gul's mission has never wavered, however. Behind Popinjay's beautiful hand-embroidered bags lies a deep-seated desire to create opportunities for those who have none. But more than an instrument to help the disenfranchised achieve self-sufficiency, Popinjay is also the antithesis of "fast fashion." 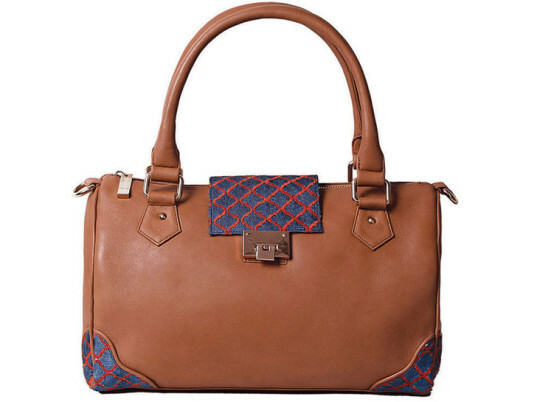 Each bag is a celebration of age-old craftsmanship, locally sourced materials, and the indomitable female spirit. Ecouterre sat down with Gul to discuss Popinjay's evolution, its influences, and the future of the fashion industry. How did the idea behind Popinjay come about? The road to Popinjay’s creation as a luxury handbag company started when I was in graduate school. I heard the story of a young Afghan girl, Azaada Khan, who disguised herself as a boy for 12 years to be allowed to attend school. She changed her name, cut her hair, the way she dressed, walked, talked and everything about her to take on this new identity. I could not stop thinking about Azaada’s story—it was so real and raw for me. Even though I had grown up in next-door Pakistan, my life had taken a radically different course from Azaada’s. while she had to change her identity to get a middle school education, I was getting my second degree at MIT. Popinjay started as a pilot with 25 teenage girls in Attock in the Punjab province of Pakistan in 2011. That summer I traveled to the community in Pakistan that was being helped by the same [non-governmental organization] that had enabled Azaada to get an education. I started a pilot here to provide girls and women access to basic education and skills training. Eventually, in 2011, I left my corporate job in the United States to return to Pakistan and work on this full-time. 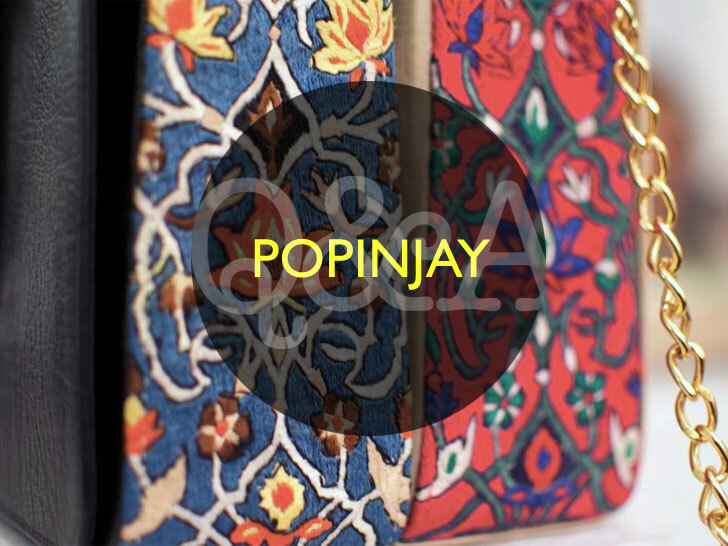 What is Popinjay today started as a pilot with 25 teenage girls in Attock in 2011, and got rebranded into the luxury, accessories fashion brand, Popinjay, in the fall of 2013. Why did you choose to launch Popinjay in Pakistan? Pakistan is the place I call home, and the place that has shaped me and my worldview. It is unfortunately also the place where women and their socioeconomic rights are often deeply neglected, and where there is so much work to be done to give them access to very basic rights. In addition, Pakistan has a very rich history and immense talent and beauty when it comes to art and craftsmanship. It’s the ideal place to create a business that preserves traditional craft while giving underprivileged women access to livelihood and dignity. Where does the training for the artisans take place? Our 150 artisans come together for four hours every day at our community center in Hafizabad, a village about two hours from Lahore. While many of these artisans grew up with sewing and stitching skills, Popinjay works with them to make the quality of their handiwork ready for the global market. Popinjay is inspired by architectural motifs from distinct periods of Islamic history. The community center is managed by amazing staff that help to train and guide each artisan’s work. 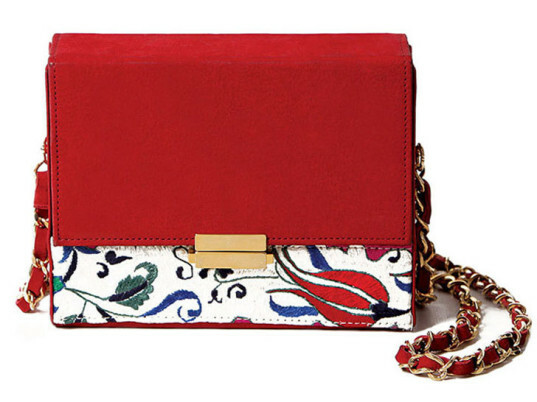 Each bag’s signature hand-embroidery is very time-consuming. For example, our popular “Anfa” bag has embroidery that takes over 70 hours complete! Popinjay prides itself on being able to support and grow talent within Pakistan while providing the artisans with a global stage to display their work on the arms of women all over the world. Where do the inspirations for the designs come from? For Popinjay’s debut collection, “La Mezquita,” the inspiration for the designs take root in the patterns and motifs found in the architecture of distinct periods of Islamic history. 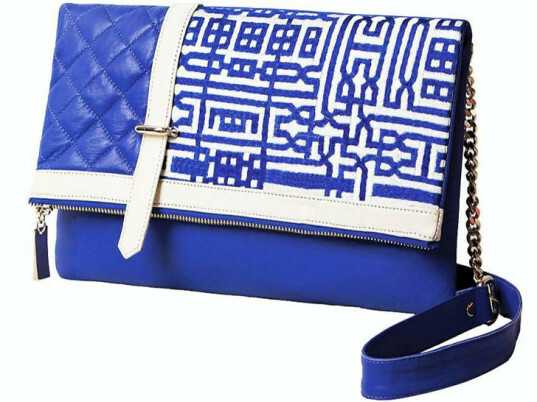 The designs of each bag can be traced as far as Turkey, Morocco, and Spain, where ancient mosques and palaces display them on tiles, rugs, and screens. Popinjay’s second collection, “Habana,” debuting in July 2014, is inspired by the early 20th century Cuban art movements: Art Nouveau, Eclecticism, and Art Deco. The designs celebrate the architectural styles of the beautiful city of Havana. Our creative director, Adil Iqbal, is a Scottish-Pakistani designer who takes inspiration from his travels, from his own roots in Pakistan, and from everyday things that catch his eye. Has there been been a renewed interest in slow, ethical fashion in the industry? Absolutely! As the world has grown more interconnected consumers have become more emboldened to question where products come from. We’ve seen trends in the food, home, and fashion industry of consumers being able to connect directly with the people behind and the issues at the heart of products. Suno, TOMS, and Warby Parker are brands we look up to who have seamlessly integrated mainstream and ethical fashion. Popinjay aspires to create beautiful products while standing for justice and gender equality. Transparency is a huge part of Popinjay’s philosophy. We are up front with our customers about our design process and provide an overview of each step of our supply chain on our website. We also feature stories of the artisans who do the hand-embroidery for Popinjay bags on our website so our consumers can see the faces and read the stories of the makers behind the products they are using! We have also run interactive campaigns including a Valentine’s Day campaign where customers could send letters to our artisans directly through our website. Conscious consumerism is and will remain a huge part of our brand. How do you see Popinjay evolving in the future? Popinjay would love to offer more economic opportunities and training to skilled artisans around the world, not just those in Pakistan and not just in hand-embroidery. We are also planning on diversifying into other products such as apparel, tech accessories. and even shoes. Ultimately, Popinjay aspires to be a global brand that creates beautiful products while standing for the values of justice, equal opportunity, and gender equality. We are also very interested in pursuing collaborations with some of our favorite brands and style-makers—including Diane von Furstenberg, Suno, Livia Firth, and Waris Ahluwali—that allow us to reach a much wider audience. Although Gul calls Pakistan home, it's also a place where women's basic socioeconomic rights are often overlooked. Gul and her team are inspired by architectural motifs from distinct periods of Islamic history and early 20th century Cuban art. Transparency is a huge part of the brand's philosophy. "We are up front with our customers about our design process and provide an overview of each step of our supply chain on our website," Gul tells Ecouterre.